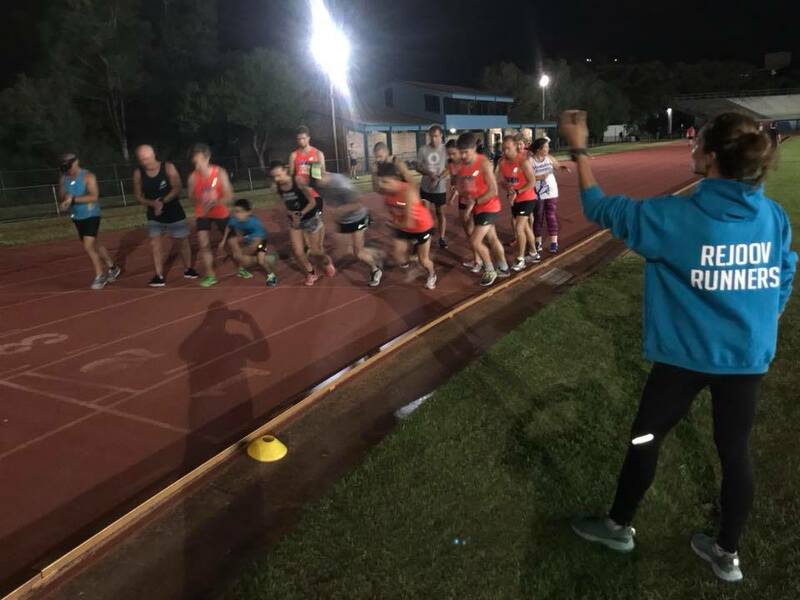 28/3/19 Awesome results & vibe at the track! Congrats on the pbs and well done on massive efforts everyone. Zac Smith what a blinder! Rob Kolbe ran a Pb after feeling crap beforehand, see you never know unless you have a go. Lex van Santen awesome Pb thanks Jo Jo Hadley for setting a great pace. Thanks everyone for going. Thanks Jenny Doak for your daughters high fives each lap. Track TT 28/3/19 what a gang! 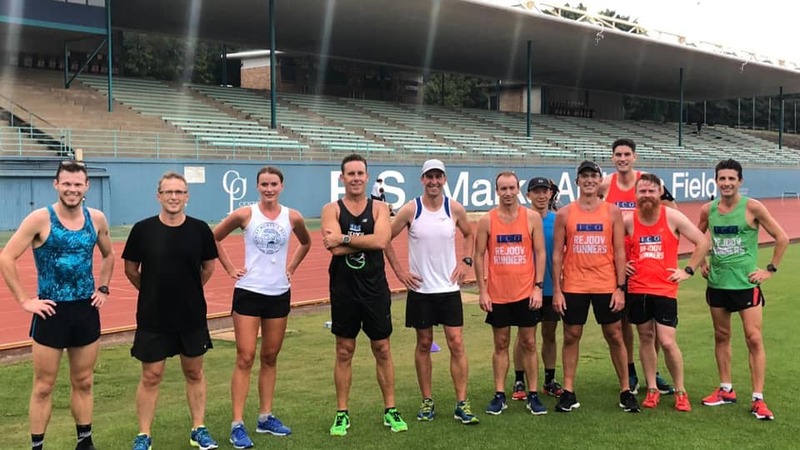 21/2/19 Great, cooler conditions for the 5km ES Marks track hit out. Well done to the Rejoovers and the Hurts crew. Thursday 15th Nov 2018, windy, drizzly conditions: Elle 18.31, Erika 18.42, Greta 19.13, Maya 19.24, Rachel 19.58, Sammie 20.02 (42sec pb). 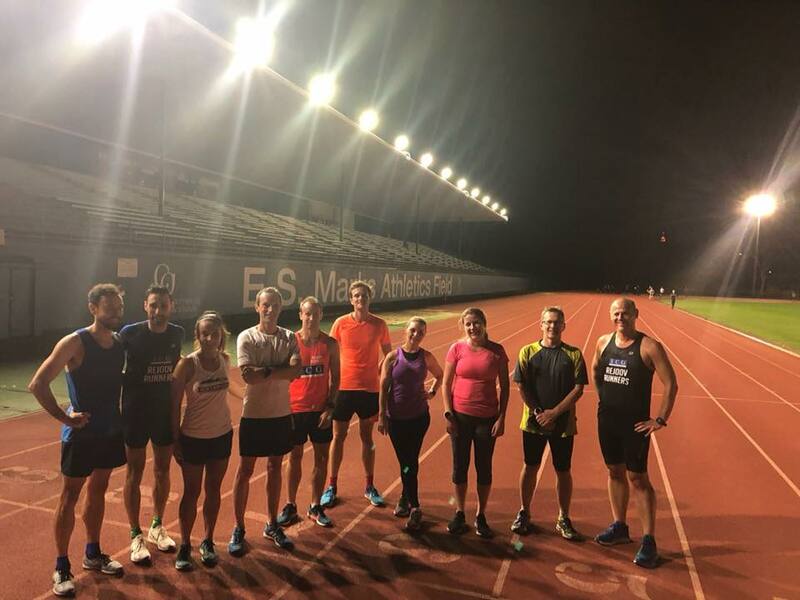 Thanks 20min pacer Jerome, Ash 20.04, Michael Quinn 23.46, Lesley 26.30, Robin 3k 16.56 then 800m great session, Zac 5 x 1k reps on a 5min cycle. A cosy time trial 25th October with fabulous results!! Special shout out to Elle Goldrick 18.30 PB & debut on a tartan track!! 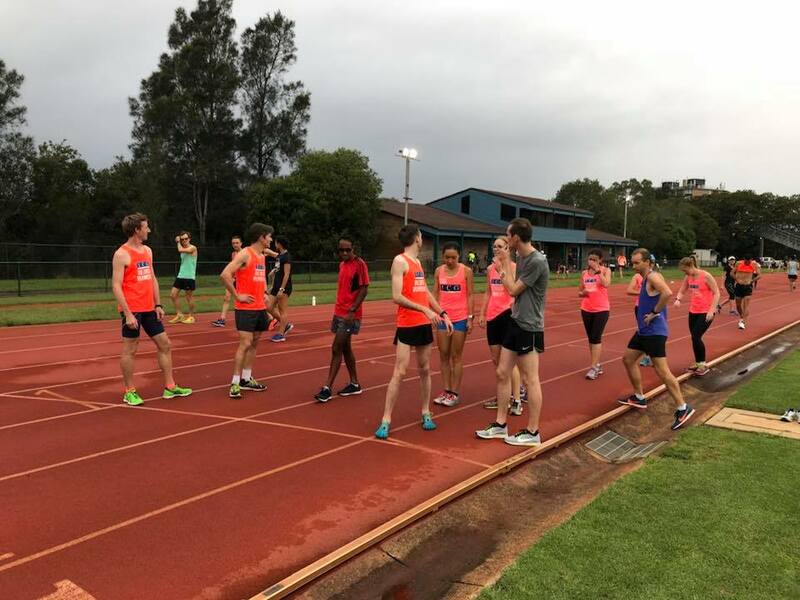 Dean Mannix PB 21:08, Bruce Lambert strong run 17:15, Renee Everett 20:28, Lex Van Santen 23:12, Anna White 12:20 3k then paced Elle the last couple of laps of her 5k thank you Anna, Cathy Rowney 15:50 3km (over 50yrs), Emma Trehy 25:54, Susan McCallum (over 50yrs) 3km 13:56. 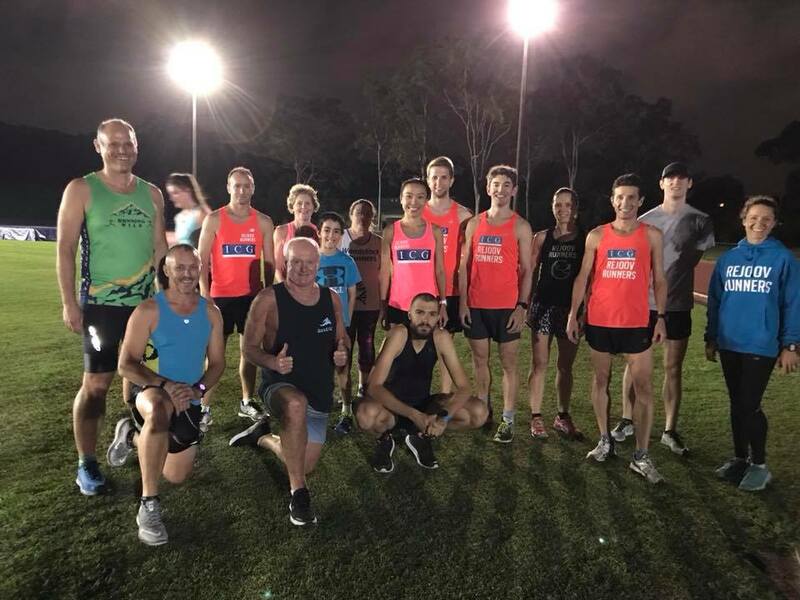 We are so proud of our newbies and older age groups and everyone giving the track a crack to further improve and have a great workout! October 2018!! Well done gang!! Photographer terrific pics & support Zac Smith, thanks guys. 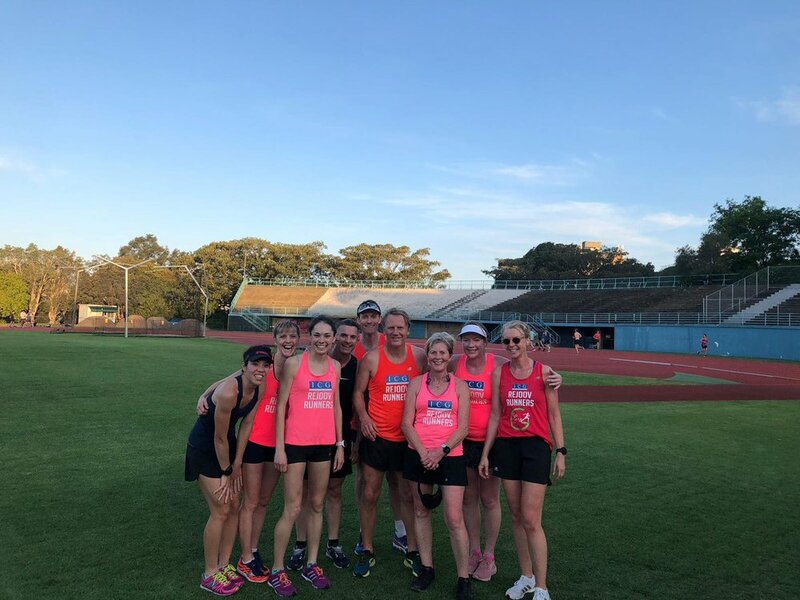 24/5/18 Another perfect night at ES Marks for our latest 3/5km TT. Up from Nowra for the day, long term Rejoover Robin Vonk ran off the front all by himself and smashed in a pb of 16:01. Well done mate. Neil Pearson and Chris Truscott paced Maya Borthwick to a well earned 18:43. Another great run as was Rob Kolbe’s in 19:33 (first time on the track since 1990! ), Zack in 20:20 and sis Jenny Doak (nee Truscott) 3km - 11min. 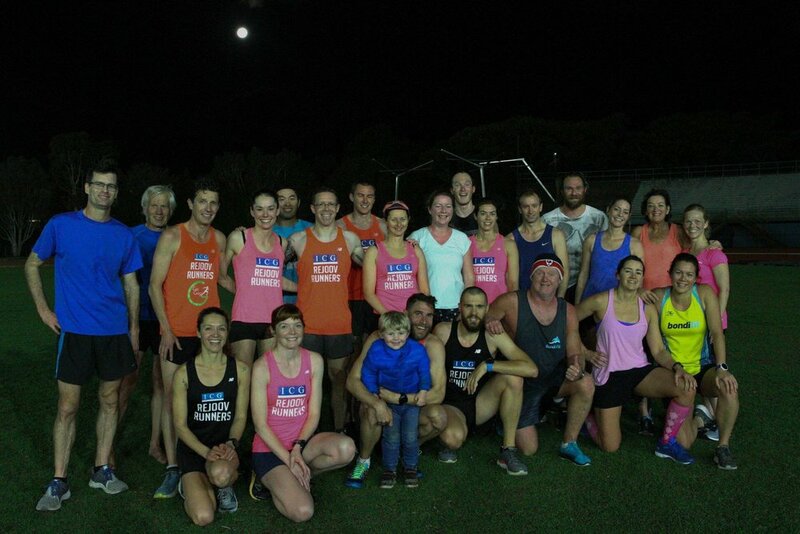 We had a couple of Kembla Joggers thanks for jumping in. Thursday 22nd March 2018. We really enjoyed seeing everyone at the 3k/5k track TT at ES marks in almost perfect conditions (slight breeze on the home straight). Snacking is often an area that can derail someone’s best laid plans to eat healthier or to lose weight. 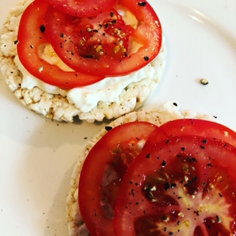 We might choose the wrong type of snack (such as a highly processed or packaged option with high added sugar, salt or unhealthy fats), we don’t think about portion size so end up having a snack that is the same size or possibly larger than a main meal, or we might eat the snack too close to our next meal. But having a snack isn’t always the wrong choice. Snacks are a great way to get some extra energy, protein, vegetables, and fruit into your day, and as part of a nutrition strategy to support optimal exercise performance, training and recovery. The key is selecting the right type of snacks and adopting a few simple tips to ensure snacking fits within your nutrition goals. · Opt for snacks that are nutrient dense with a mix of complex carbs, protein and healthy fats. These types of snacks will help you to feel full and not have you reaching for more. Some good options are piece of fruit with handful of nuts, yoghurt with nuts and seeds, rice cakes with cottage cheese and sliced tomato, hummus or mashed avocado and raw vegetable sticks, homemade protein balls or a protein shake with berries. · Check the time and if you are planning on eating your next main meal (be it lunch or dinner) in the next two hours, forgo the snack and have a glass of water or a herbal tea instead. · Watch your portion size – it can be very easy and tempting to eat more than we need with a snack. Examples of good snack portion sizes are one piece of fruit, a small handful of nuts (about 30g or 15-20 nuts, depending on the nut), 2-3 rice cakes, 1-2 tablespoons of hummus or avocado. · Practice mindful eating when snacking – prepare your snack (such as cutting up your piece of fruit and putting it on a plate), make it look more appealing and appetising, take the time to enjoy it and don’t snack on the run – this way you are less likely to reach for more. · Think about variety for your snacks. A key component to a healthy diet is eating a wide selection of foods from the different food groups and varying your choice of foods day to day. This applies to our main meals and our snacks and not only provides us with a wide variety of nutrients but also makes meals more appealing and appetising. Snacking on different vegetables on a regular basis is a great way to up your daily vegetable quota too. If you do find you need to snack on a packaged or processed item, check the nutrition label on the packet.Look for snacks that have less 10g of added sugar and at least 10g of protein per 100g.Also be mindful of the number of serves in the packet – often there is 2 or more serves, not just a single serve.